The background image: To celebrate its 24th year in orbit, the NASA/ESA Hubble Space Telescope has released this beautiful new image of part of NGC 2174, also known as the Monkey Head Nebula. NGC 2174 lies about 6400 light-years away in the constellation of Orion (The Hunter). Hubble previously viewed this part of the sky back in 2011 — the colourful region is filled with young stars embedded within bright wisps of cosmic gas and dust. This portion of the Monkey Head Nebula was imaged in the infrared using Hubble’s Wide Field Camera 3. Spring has sprung and there is so much to be thankful for. The birds in my garden are very busy parents right now and the flowers are really starting to take off. My wrist has healed and I am very, very happy to be playing guitar and tennis again! Please notice that I’ve just added a house concert in Gainesville to celebrate the release of REACH FOR THE STARS. It has been a long time since I’ve given a full show in Gainesville and I am very excited to share this collection of songs with you. Coming up April 20th is a show in Winter Park with Christine Stay and Aidan Quinn of Friction Farm. I will be opening for them, but we like to think of it as sharing a show. They will be joining me on a few songs and then I will join them to add third harmony part to some of their songs in the second set. This will be a lot of fun and I am looking forward to it! May 7th I am thrilled to be included as an artist in the Gamble Rogers Festival in St. Augustine (May 5-7.) While in St. Augustine we plan to check out the wild bird rookery at the Alligator Farm: spoonbills, herons, egrets, wood storks, all in beautiful breeding plumage this time of year. The captive gators protect them from ground predators (that is if you don’t count the gators!) A very cool thing to put on your todo list in early May. On May 13th I will give a full house concert in Gainesville to celebrate the release of REACH FOR THE STARS . 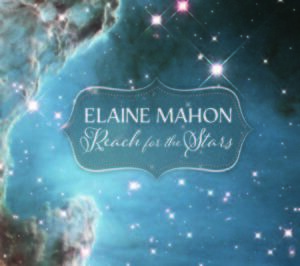 Since its release in February, REACH FOR THE STARS hit #15 on Folk DJ Charts. It also hit #17 on the Roots Music Report’s Charts for Contemporary Folk album and #25 for Folk album. Six of the songs charted between #14-#20 in the Roots Music Report on Contemporary Folk. On the Radio Indie Alliance Charts, the album reached #6 and “Lean into Love” and “Rolling Home” reached #10 this week. The album is starting to get more airplay around the world and I am hoping that the song “When My Mother Sings” that I cowrote with Penny Nichols and Lisa Aschmann finds its way into some Earth Day programs coming up! So all in all, it has been a pretty nice sendoff! Wishing each of you a beautiful spring and hoping that everyone reading this takes the time to get outdoors and enjoy this gorgeous weather!